"We always came into the Games to really try and test the systems that will be used for Tokyo. Everything from jetlag strategies to heat management. And it turn out that the heat in the track building was a really big factor, and we know we have a lot of work to do in that area. Some of our athletes were really struggling with their body temperature." "The great thing about the Commonwealth Games for the track component is that it is harder, in many senses, than the world championships. 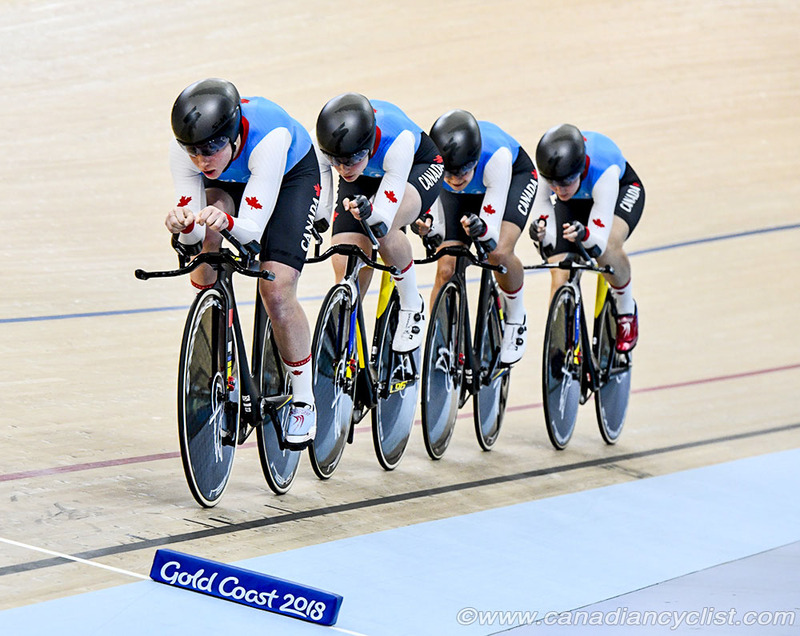 You've got countries like Australia, England, Wales, New Zealand all with three riders each in the events. So, it is one of the toughest sprint tournaments outside of the Olympics or world championships. It is really good to measure our athletes against these countries, and we had a lot of young athletes here, who really needed this level of experience. So, we can learn how they react to this level of pressure and speed, and fierce competitiveness." 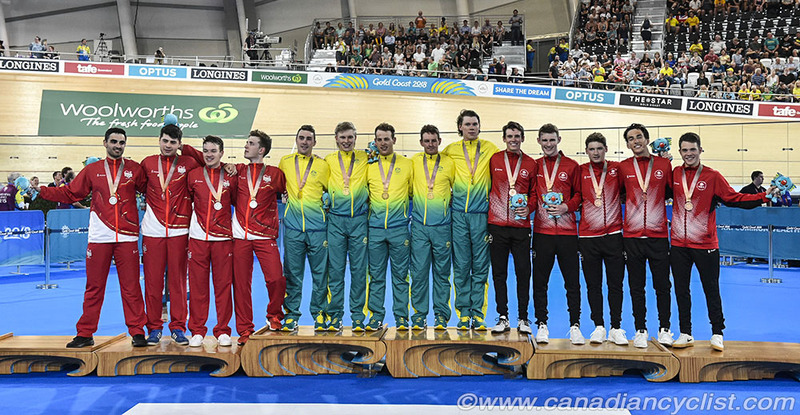 "The high points are obviously the two medals we got in the Team Pursuits. 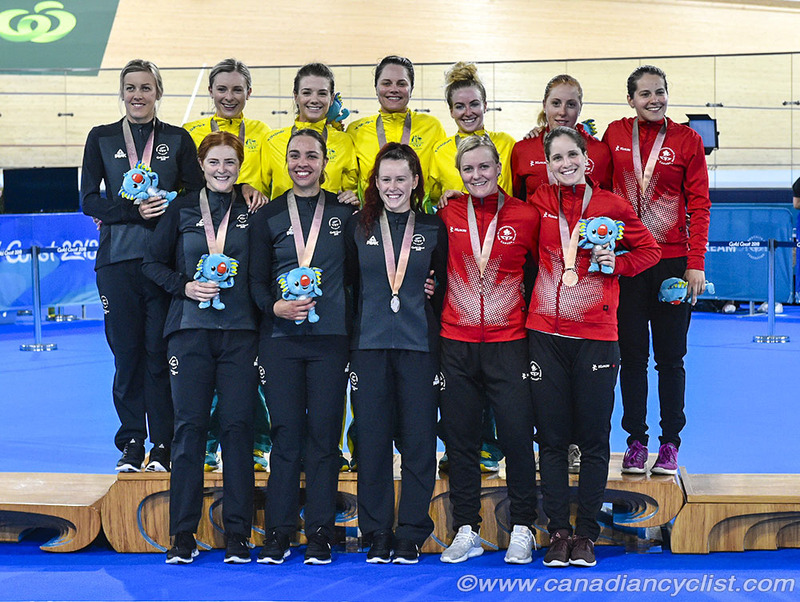 We lucked into the means one a little bit [when New Zealand was disqualified], and we were a little disappointed with the bronze in the women's because we were expecting better. 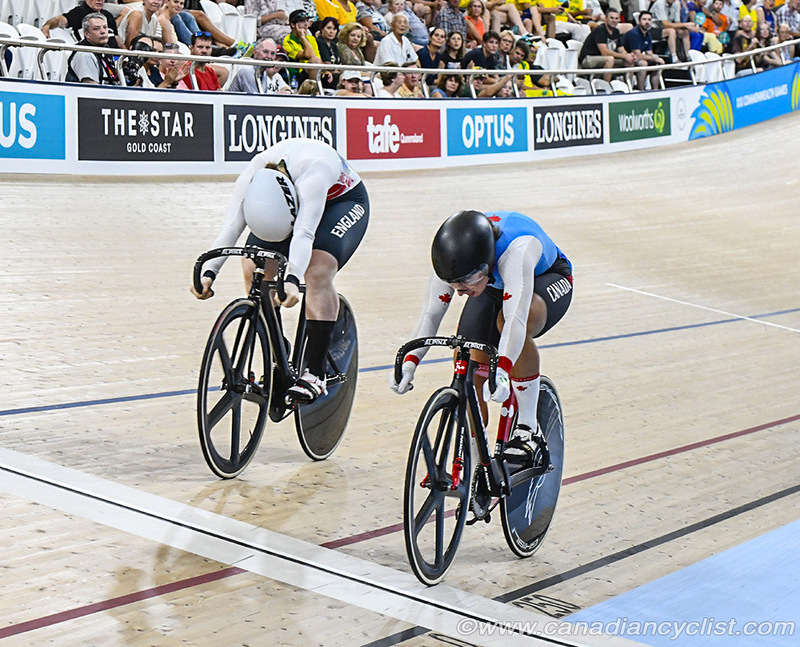 Having said that, we had an untested line up in the race, and a couple of athletes that have never raced at this level before." "And, of course, Lauriane Genest stepping up to her amazing performances. She was really cooked by the end of the tournament; she's young and doesn't have the base of training to support this kind of repeated effort requirement. So, it's really good to see that she is ready to race at this kind of level, and we know exactly we need to do working with her, to make her a world-class contender."